Vision represents the cultural element of inspiring identity. As the following story illustrates, inspiring identity is a crucial factor in team performance and can help organizations overcome tremendous obstacles. Enthusiasm and energy will be on full display this Saturday as the #6 TCU Horned Frogs football team host the #7 Kansas State Wildcats at 6:30 pm EDT on Fox. During halftime, TCU will celebrate the 10th anniversary of “Frogs for the Cure” which began in 2005 when TCU athletics partnered with Susan G. Komen Greater Fort Worth to sponsor the first ever pink-out halftime presentation at a university football game. 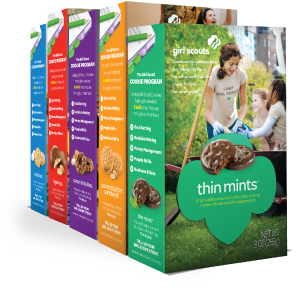 In most communities, January through April is the time of year when the girls in green are out in full force selling Girl Scout cookies. Can you imagine a world without Thin Mints®, Tagalongs® and Do-si-dos®? Sadly, they were once at risk. There was a time in the mid-1970s when the Girl Scouts were struggling and their future looked uncertain. Fortunately, Frances Hesselbein came to the rescue. Although she had no daughters, Mrs. Hesselbein had begun her association with the Girl Scouts when she agreed to help with a troop of 30 girls in Johnstown, Pennsylvania that had lost its leader. It wasn’t long before Hesselbein’s experience with Troop 17 developed into a lifelong commitment to Girl Scouting. In 1976 she became CEO of the national organization, Girl Scouts of the USA. With membership falling, and the organization in a state of serious decline, Mrs. Hesselbein put sound management practices in place. During her twenty-four-year tenure, Girl Scout membership quadrupled to nearly three and a half million, diversity more than tripled, and the organization was transformed into what Peter Drucker described as “the best-managed organization around.” Hesselbein accomplished the amazing turnaround with a paid staff of 6,000 and 730,000 volunteers. Here are three practices that helped Frances Hesselbein put the Girls Scouts on a track for success. I hope the leaders at Pfizer make their employees and the family members of employees well aware of this because they should feel proud of their company for alleviating the suffering and deaths that would have otherwise visited these children and their families. Communicating the good deeds of an organization reflects Vision and Value, two of the three core elements of a Connection Culture that boosts employee engagement, productivity, innovation and overall performance. The news media today provide a constant drum beat of of stories about corporate misdeeds and rightfully so because the press plays an important accountability role in free market democracies. I do wish, however, that the press would give more attention to positive stories like this that reflect good corporate character and reduce time spent on trivial matters. Corporations bring skilled people together and provide the capital and resources necessary to solve some of the most challenging problems facing humankind. Pfizer’s action in this announcement is a great example. By celebrating the good deeds of corporations like Pfizer, we encourage them to be good citizens. Organizational missions are inspiring when they communicate how an organization brings truth, beauty and/or goodness to the world. 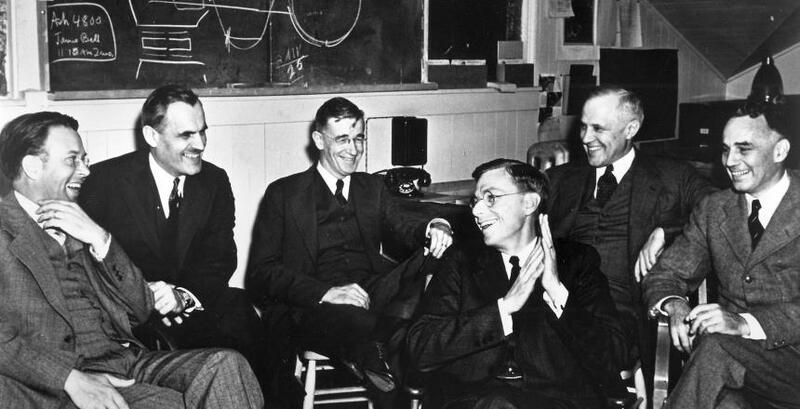 For example, organizations in research or education help bring truth to the world (e.g. biotech companies, universities, schools). Organizations that produce goods or services reflecting aesthetic or artistic beauty or functional excellence bring beauty to the world (e.g. organizations that produce goods or services reflecting a high level of quality, advertising and design organizations, entertainment organizations). Finally, organizations that help improve the wellbeing of people, bring goodness into the world (e.g. healthcare, consumer products or leisure and entertainment organizations). Citibank’s recent television commercial is a great example of an organization communicating a mission that inspires. The ad shows some of the projects that Citi helped finance including the transatlantic cable, the Marshall Plan to rebuild a post-World War II war-torn Europe, and the Space Shuttle Program. Now those are some accomplishments to be proud of and collectively they have brought greater truth, beauty and goodness into the world. Here is a link to the article I wrote about Starbucks. The article is entitled “Have a Heart.” It was published in Outlook Business for Decision Makers, a leading business magazine in India. In addition, below are links to three segments of a radio interview I did yesterday morning with Jim Blasingame, host of the nationally syndicated Small Business Advocate program. The U.S.S. Montpelier Command Philosophy (below) is an outstanding example of values articulated in a clear and compelling way. Remember that values at their best are a source of pride and guidance for employees. To be the most effective, values must be communicated in writing and verbally because people usually learn by reading or listening. A portfolio of simple yet compelling stories should be developed that can be told to help people remember your values. My mind must have been on something else as I began to edge out a bit from a side street to make a left-hand turn onto a main thoroughfare. At the same time, another driver was turning left onto the street I was on. I slammed on my brakes in time. Admittedly, the near miss was my fault and the driver I almost pulled in front of had every right to be upset. What surprised me, however, was the intensity of his reaction. He came unglued, turned blood red, repeatedly flipped me off and began spewing expletives and spittle. The rage on his face is burned in my memory. I kept an eye on him in my rear view mirror to make sure he wasn’t turning around to come after me. Fortunately he didn’t. Airports can be dull, uninspiring places where it’s easy to drift into a numb, trans-like state of mind. But what if a group of people decided to break through the cacophony of sounds and sights at one of the world’s busiest airports by orchestrating a beautiful symphony of human voices. Thanks to a stunning T-Moble advertisement, we don’t have to imagine what it might look like. Check it out in the wonderful video above. Watching the video reminded me of the joy people experience when they become engaged in and feel connected to their work. They move from the drone of daily work to a life-giving state where work is like making beautiful music. This only happens when one’s work brings truth, beauty and/or goodness into the world. 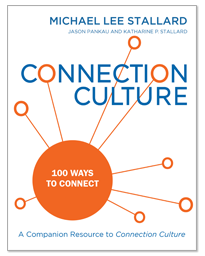 It is one aspect of the first element in a Connection Culture that we call “Inspiring Identity.” Learn more about Connection Cultures and Inspiring Identity in Fired Up or Burned Out. One of the relief organizations my wife and I support is World Vision. These people are AMAZING and they do remarkable work that Nicholas Kristoff of The New York Times raved about in a recent column he wrote. What I love about World Vision is that they are a force for connection. 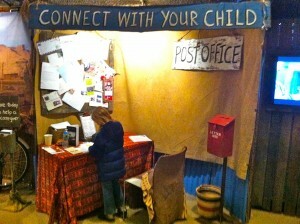 They connect their employees, volunteers and donors with people in desperate need around the world. The result is a fired up organization that is making a difference. 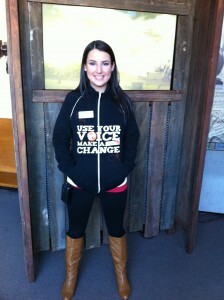 While volunteering, I met Kristin, an enthusiastic, motivated, bright young World Vision employee. Speaking with Kristen made me see how well World Vision connects its workers and donors with those who are in need, not only financially to meet their needs for clean water, health care and education, but also relationally. Here’s an example. At the end of the World Vision AIDS Experience, donors can sit down in an area where materials are available to write a letter (or, for very young donors, to color a picture) that is sent to the donor’s newly sponsored child. Notice in the picture at top, above the young girl writing a letter to her sponsored child is a sign that says “Connect with Your Child.” How great is that! Our family has connected with our child in Rwanda by periodically writing and sending gifts to her, and we’ve received letters in return. 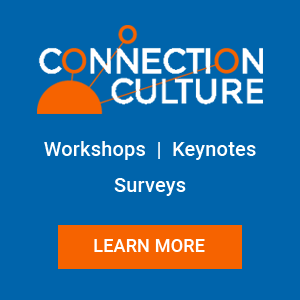 As you may know, my blog is primarily about the power of connection in organizations and in life as part of what I refer to as a “Connection Culture” that I wrote about in Fired Up or Burned Out. World Vision’s ways are relevant to all organizations, including for-profit corporations. World Vision is more effective because they are intentional about connecting people to a cause greater than self and in doing so the people who are part of World Vision want to give their best efforts and align their behavior with the organization’s goals. Just to mention it, another benefit from connection that accrues to philanthropic organizations was identified in recent research conducted by Indiana University. The research identified the #1 reason people stop giving to a philanthropic organization is they no longer felt connected. 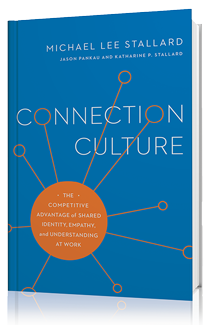 How is your organization doing connecting your employees and customers to a cause greater than self? If you don’t know, get some of your most fired up employees together and ask them “when have you felt proud about your organization” and after they tell you ask them to explain “why they felt proud?”. You will hear stories that will help you identify ways you can fire up people by connecting them to a cause greater than self.